The Surrey Heat got their season off to the best possible start at the Surrey Sports Park on Saturday evening when they comprehensively handled the visiting Mersey Tigers. The final score was 106-45, which set all sorts of Heat franchise records. In their first outing, the Heat surpassed last year’s highest score (which was 100, against an under-strength Newcastle Eagles in the last regular season game). In fact, it was the second highest output by the Heat in over three seasons and fell one point short of the most points scored against the Tigers, when the (then) Guildford Heat beat the (then) Everton Tigers 107-101 in the 2008-09 season. However, it was the defensive performance which set the records tumbling. 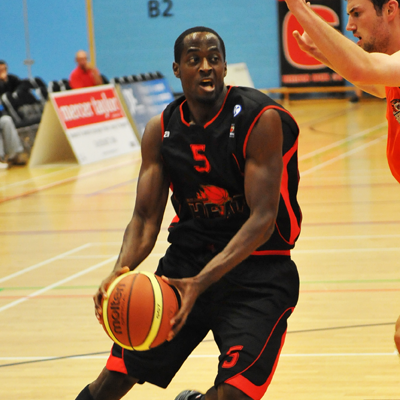 The 61 point margin of victory is a franchise high, easily surpassing the 49 point margin of victory achieved back in the 2007-08 season, when the Heat defeated the Worthing Thunder, 118-69, in the BBL Trophy (the Heat’s highest-scoring game). The 45 points conceded is also a franchise low, beating the 52 points allowed in the 2009-10 season when the Heat notched up an 85-52 victory over the London Capital. The team looked sharp, setting the tone by forcing four turnovers on the first five Tigers’ possessions. Frank Holmes got the Heat underway, scoring the first two points for the Surrey Heat under the basket, gathering his own miss and putting it back in. After Chris Bigley scored in the paint to tie the scores at 2-2, the Heat rolled out a 22-0 run over the next 5½ minutes during which time all five starters scored. Albert Margai got things going with a drive to the basket and Chavis Holmes opened his Heat account with a three-point play.Sam Cricelli was the last of the starters to score, opening his own Heat account with a fast break before newly-appointed captain, Julius Joseph capped the run with six points on three consecutive fast-breaks. At the three-minute mark, Heat Head Coach Creon Raftopoulos rang the changes, and Peter Simek and Creon’s son, Caylin, took the court for the first time in Heat colours. They were joined by Martelle McLemore who made an immediate impact, getting into the paint and sinking a floater while being fouled. Caylin also got in on the act, driving all the way to the basket from the top of the key for a lay-up. However, when a side dominates, they often ease off the pressure towards the end of the quarter as the new players get accustomed to the pace and so it was with the Heat as the Tigers staged a mini-rally, closing the quarter with an 8-6 run. However, with the Heat ahead 30-10 at the break, no-one was seriously worried. All the Heat’s 30 points had been scored in the paint or at the free-throw line. The trend continued in the second quarter as the Heat ripped off a 14-2 run in the first five minutes to make it 44-12. Peter Simek scored his first Heat point from the foul-line, while Sam Cricelli sank the first Heat jump-shot from the foul-line. As before, the Heat eased off a little towards the end of the quarter, outscoring the Tigers 12-10 in the last five minutes to take a 56-22 lead into the break. The second half opened with more of the same. The Heat’s defensive success had been built on keeping the Tigers out of the paint, forcing them into contested perimeter shots. They had been so successful that the Tigers hadn’t made a single trip to free-throw line in the first half. This changed in the third quarter when the impressive Jack Hudson got to the stripe, but the Tigers had to wait until the fourth quarter before they finally hit a free-throw as Hudson missed both shots. Despite this, the Tigers were at least competitive in the first five minutes of the second half, keeping pace with the Heat, 8-8. The score was 64-30 when the Heat re-applied the defensive clamps holding the Tigers scoreless for over five minutes. At the other end, the Heat’s hard work in pounding the ball inside paid off as the three-point line opened up. After JJ went coast-to-coast for yet another fast-break lay-up, Martelle McLemore hit the Heat’s first three as the Tigers left him open. After Chi Lewis-Parry, playing his first game for the Heat in five years, scored on the fast break, Caylin Raftopoulos buried a three from the top of the key and, on the next possession, unselfish play saw the Mac and Kaylin pass up open threes to set up captain JJ for the Heat’s third three. There was still time for the Mac to score six points in the last 74 seconds to send the Heat up 83-30 going into the fourth. Caylin opened the final quarter with a pair of threes as part of a 10-2 Heat run in just two minutes The Tigers finally hit their first free-throw of the game through David Ulph before Chris Bigley hit their first three. Albert Margai got the Heat to 100 with a fast break layup and there was still time for the other two debutants, Ben Seipt and Jared Adams to combine on the last score of the game, Ben feeding Jared for a lay-up to make it 106-45 to the Heat. The Heat were led by double-doubles from new boy Sam Cricelli (21 points and 10 rebounds) and the returning Frank Holmes (18 points, 12 rebounds). Chavis Holmes also had an impressive debut (15 points, nine assists and six rebounds), while Julius Joseph made a good start as captain with 13 points. Martelle McLemore came off the bench to score 16 points in just 15 minutes of court-time, while Caylin Raftopoulos marked another excellent debut by hitting all three of his three-point attempts on his way to 11 points. Those who worried that the days of the high-flying Heat might have ended with the departure of Tayo Ogedengbe had their fears quelled by a dominant performance at the rim. There were seven dunks in all, with Martelle McLemore providing the highlight reel performances with two one-handed finishes at the rim to go with another two-handed dunk. Frank Holmes muscled his way to the rim twice where he finished with authority and even new Heat Captain Julius Joseph got into the act, dunking in the first quarter. However, the most impressive dunk came from debutant Chavis Holmes, who was slipped the ball under the basket by namesake Frank and who dunked from a standing, two-footed start. It was the sort of finish you might expect from big Frank, rather than the 6’4″ Chavis. Doubters will point to the quality of the opposition, the Mersey Tigers having announced their squad less than a week before the game and relying largely on untried local talent. However, there is an old adage in sport that you can only beat the team in front of you and it is a long time since the Heat disposed of an opponent in such an efficient and assured manner, which bodes well for the stiffer challenges that lie ahead. The Heat never looked threatened, but more importantly never slacked off, allowing 10, 12 and eight points in the first three quarters and only 15 points in the fourth, all the while giving extensive time to the bench. The Heat now look forward to the stiffer challenges of the Sheffield Sharks on the road on Sunday, 30th September, before hosting the Worcester Wolves on Sunday, 7th October, 3 o’clock at the Surrey Sports Park. Get your tickets for this game online now or call Surrey Sports Park Box Office on 01483 689111. 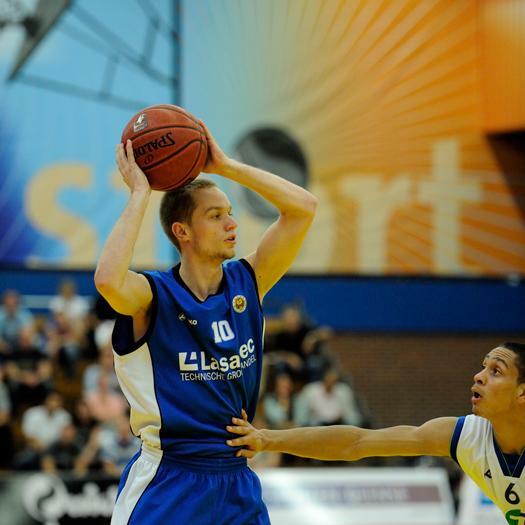 Scorers1st client Valentijn Lietmeijer has been selected as Rookie of the Year in the Dutch Basketball League. The young and very talented shooting guard who is playing for Lasaulec Aris was selected as Rookie of the Year by the coaches, players and basketballpress. 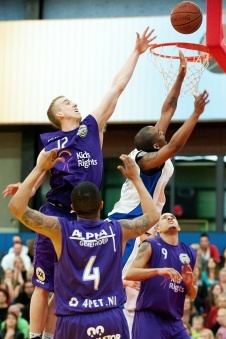 In his statistical best game Valentijn scored 12 points and had 4 assists and 2 rebounds. The whole Scorers1st staff congatulates Valentijn with his selection! 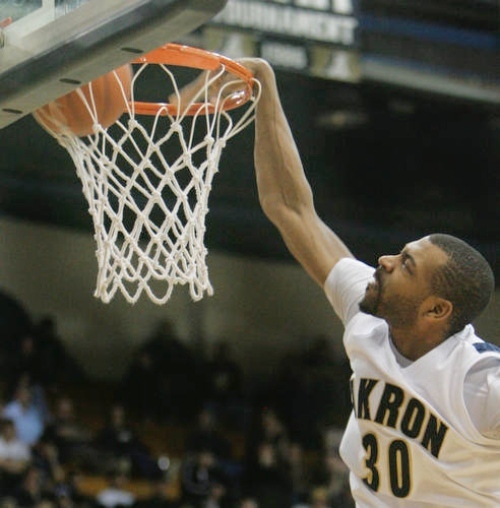 US Forward Chris McKnight has inked an agreement to remain with Boras Basket in the top-league in Sweden for the 2012/13 season before stepping on the plane to go back to Ohio for his well-deserved summer break. McKnight averaged 16.8 points, 7.8 rebounds and shot 56.3 % from the field and 77.2 % from the free-throw line during this past season. Chris McKnight is one of the first players brought to Scorers 1st by David Saltzman and everyone at Scorers 1st congratulates Chris on signing back with Boras! All the best for 2012/13!!! 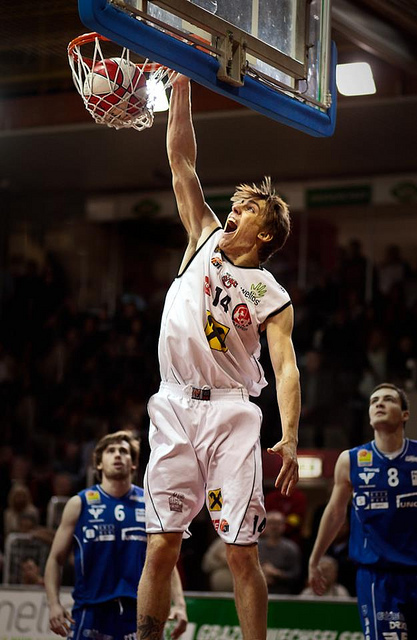 Ross Bekkering led his team with a double double last night in the overtime win of Magixx for Kids rights over Lausalec Aris. With an impressive 23 points and 11 rebounds, shooting 6-7 from 2point range, 3-5 from 3point range. In a game that has a tradition in overtimes and suspense it looked like Nijmegen would take the win home, but with just a hands full of seconds to play Brandon Rozell (Lasaulec Aris) got two chances on a three point shot of which he converted one, putting the game into overtime. In the extra time Nijmegen outscored Leeuwarden 3 -12 winning this roadgame. Ross Bekkering got support from his brother Henry who scored 12 points. Scorers1 clients on Lasaulec Aris site where young talent Valentijn Lietmeijer who posted 7 points and 4 rebounds and Mark Peter Hof who scored 2 points. 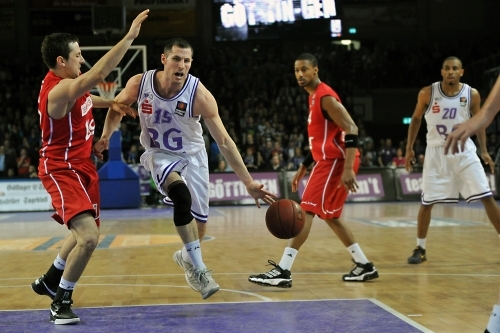 Scorers1st clients Ali Farokmanesh and Logan Stutz had a big contribution in the win from Wels over Gussing. In a game that was dominated by Wels, Ali Farokmanesh displayed what a quality player he is, shooting 6 – 10 from 3 point range, 1-1 from 2 point range and 4-4 from the free throw line ending up with 24 points. Big man Logan Stutz showed his upside in this game posting 10 points and 7 rebounds in only 18 minutes. WBC Wels now is in fourth place in the Austrian highest league. In the Slovakian Extraliga the series between Prievidza and Levice went to a fifth game on Friday 23 of March. After Prievidza trailed 2-1 in the series they rallied to win the fourth and fifth game in the series to advance to the semi finals of the Extraliga. The decisive game in Prievidza was the end of an intense series in which Levice really put some pressure on the squad of coach Johan Roijakers. At the half Prievidza was trailing 33 -35 and in the third quarter Levice managed to extend their lead to 48 – 51. The intensity of the whole series came to an explosion in the fourth quarter when Prievidze rallied to take the lead and clinch the victory and the spot in the semi finals. Prievidza was lead by Cory Pelle 23 points and Scorers1st client David Godbold who posted 16 points, 4 rebounds and 3 assist. On march 28 the semi finals start where Godbold and his team will face Nitra.